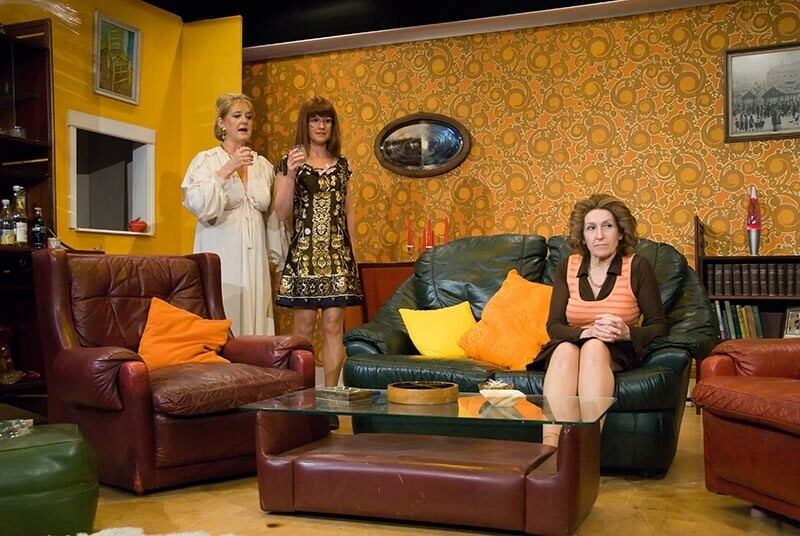 This is a wonderful exposé of human nature albeit solidly set in the 1970’s it brings to life the essences of the characters in such a way that they are both hilarious and pitiful. 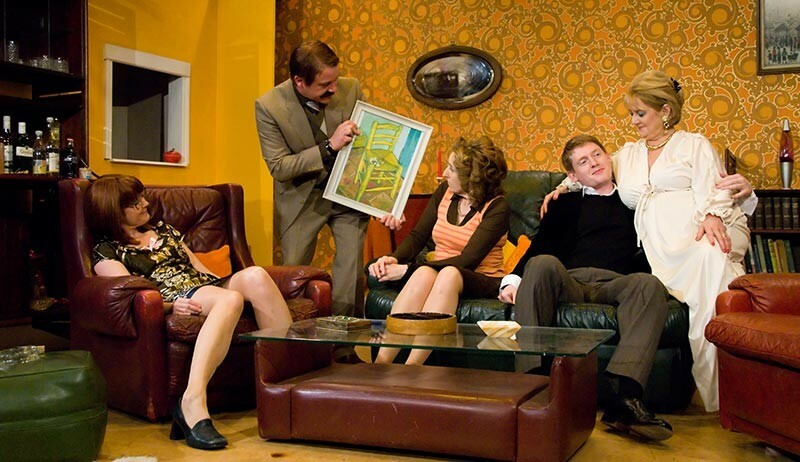 The story line depicts the attempt of the hugely aspirational couple, Beverly and Laurence, to impress and entertain, over drinks, a clearly less blessed couple, Angela & Tony and another neighbour, Sue, whose eponymous daughter Abigail is having a party. 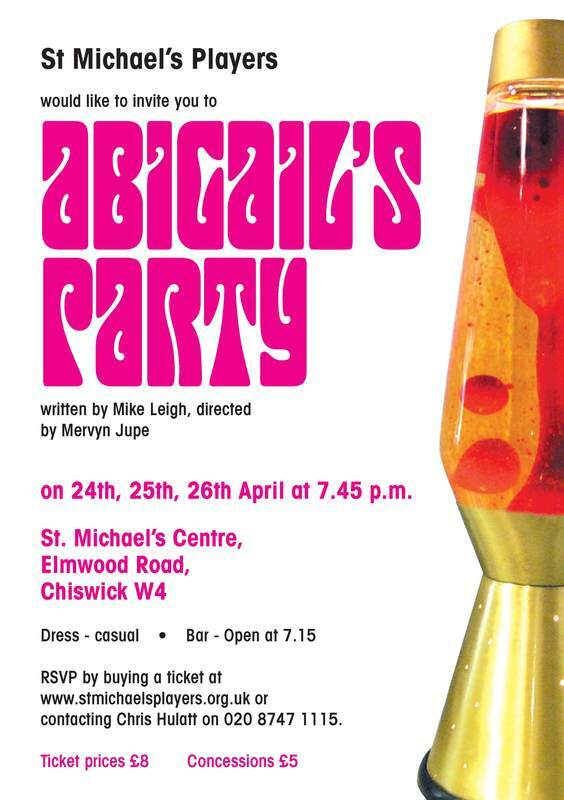 Abigail’s Party was first performed at Hampstead Theatre in 1977 and attracted an audience of around 16 million when, as BBC’s “Play for Today”, it was screened in 1979.